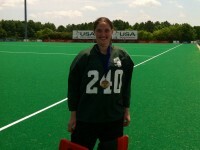 Congratulations to Philly Hockey Club Goalkeeper Chloe Johnson and her Tokyo team mates for winning Gold at National Futures Championships in Virginia Beach, VA 2013. As a result of her performance at NFC Chloe has been selected to Junior National Camp to be held over 26th to 28th June at Old Dominion University VA. 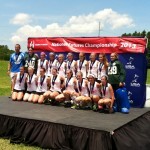 This camp is a direct pipeline to be selected to USA U16 National Outdoor program. Well done Chloe on your achievements so far. 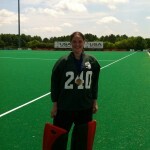 We at Philly Hockey Club wish you nothing but success in your pursuit of National Outdoor Team status.